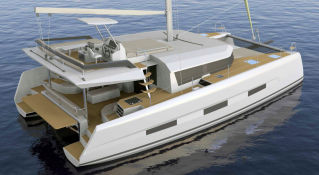 The Dufour Catamaran 48 is the first catamaran designed by Dufour shipyards. This catamaran has many distinctive features that tie it to the quality of Dufour sailboats. The cockpit is positioned on the large breathtaking flybridge, where you can sunbathe, lounge, raise a glass, even dine while enjoying moments of sheer relaxation. 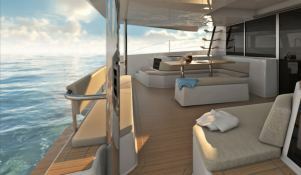 The aft deck and interior living area open to provide an open air comfort. The sailing tech, simple and effective, perfectly matches the current trends with the large windable and self-tacking jib. The hulls are narrow and deep and inverted bows. 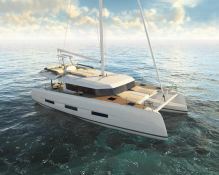 All these qualities will make this already magical catamaran the ideal choice for charter to discover the wonders of Croatia. Chartering the Dufour 48 catamaran in Trogir in the suburbs of Split, is the guarantee to live unforgettable moments to discover Croatia and the Adriatic Sea. 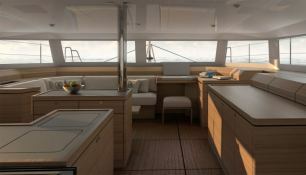 The Dufour Catamaran 48 is the first rental catamaran designed by Dufour shipyards. 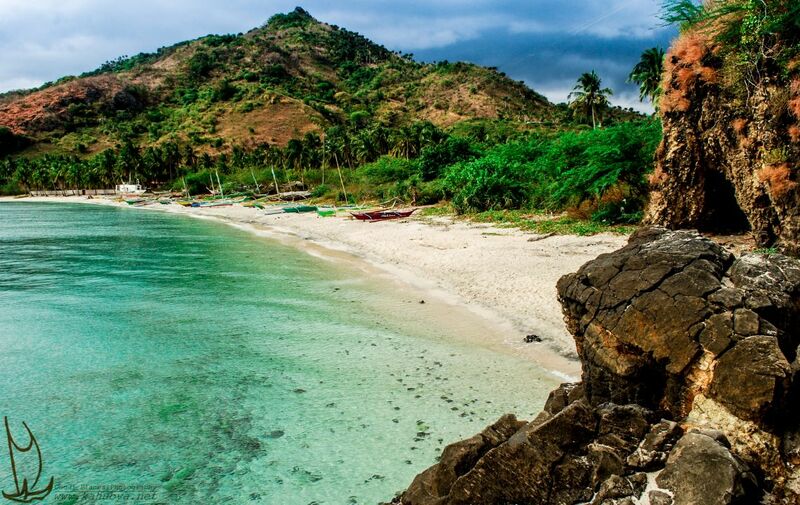 This catamaran has many distinctive features that tie it to the quality of Dufour sailboats. 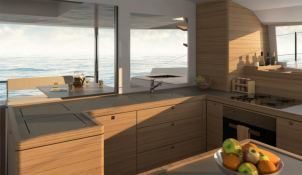 The large outdoor cockpit covered by the flybridge, positioned at the same level as the living room and the kitchen are attractive elements. The flybridge is the place of command of the boat, the area dedicated to tanning and a raised lounge to enjoy moments of relaxation. The sail plan, simple and effective, perfectly matches the current trends with the large windable and self-tacking jib. The hulls are narrow and deep and inverted bows. 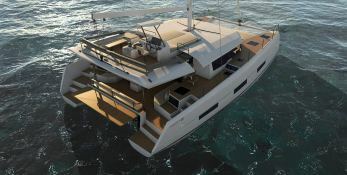 With its 6 double cabins and six bathrooms, the Dufour 48 catamaran is able to take up to 13 people. All these qualities will make this already magic sailing catamaran the ideal choice for a boat rental to discover the wonders of Croatia.